Show a mastery of the classic styles with ideal comfort wearing the Mark Nason Clubman - Bennison boot. 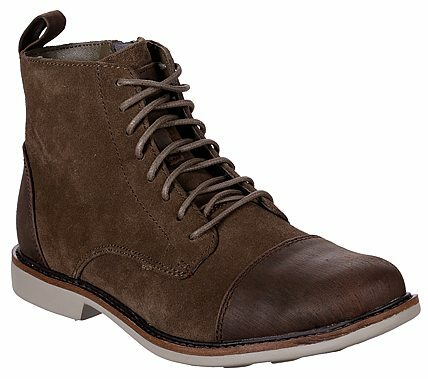 Soft premium suede upper in a lace up dress casual ankle height cap toe chukka style boot with stitching and overlay accents. Memory Foam Lux insole.